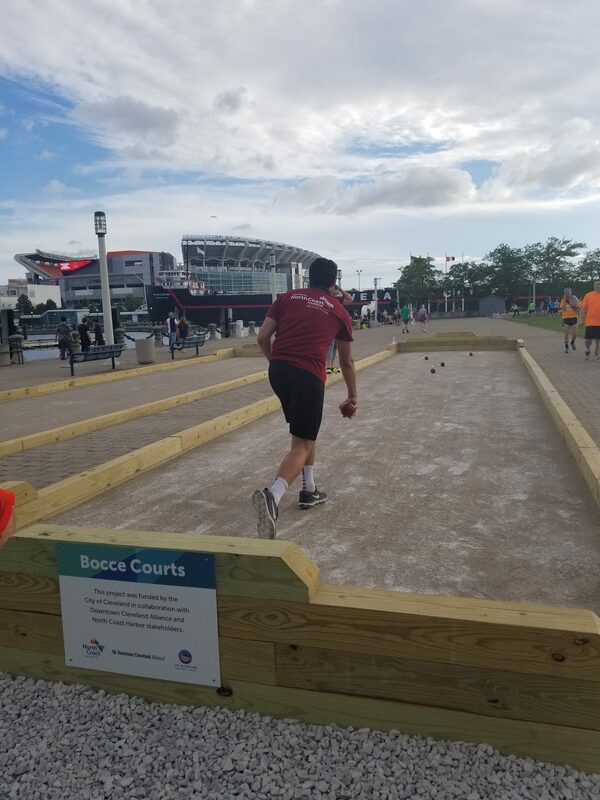 Join us for our Inaugural North Coast Bocce Tournament at Voinovich Bicentennial Park June 28-29, 2019. Teams can register by completing the Registration Form and email to jkerr@downtowncleveland.com. Spots are limited to first 24 teams (4 players per team). 100% pay-out –Placing and awards based on final number of teams. Not sure how to play bocce? Need to brush up on your skills? Join us for our 6-week beginner bocce: Learn to Play Nights, Thursday evenings starting May 23 from 6:30PM-7:30PM. Registration is required. Space is limited to 16 players per night. Click here to register.